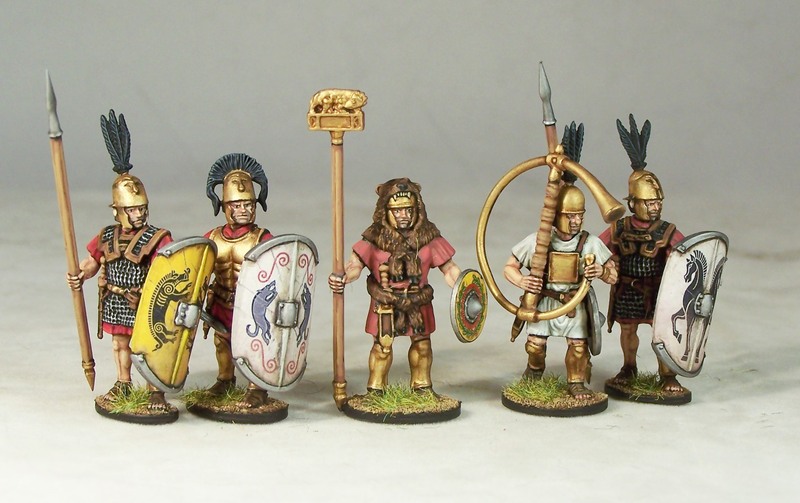 A few of the new plastic republican Romans from Victrix I painted over the last week or so. 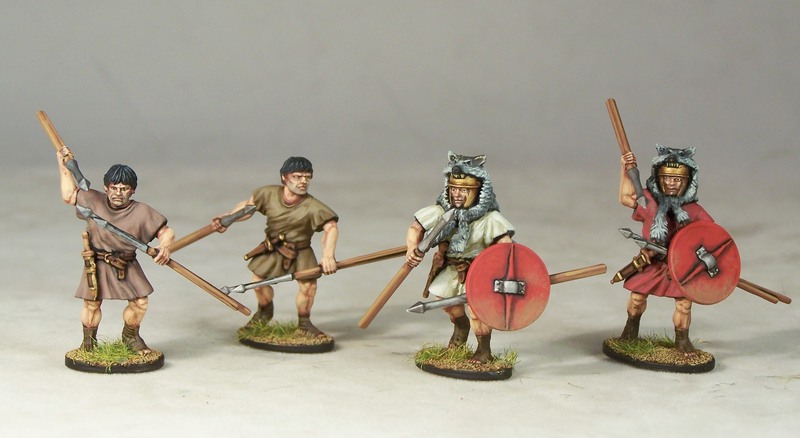 Great models to paint, but I did manage to stab myself on one of their spears! 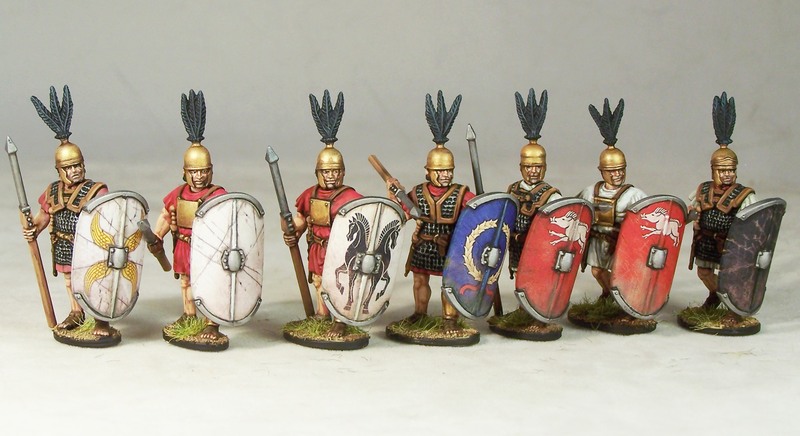 The shields are LBM transfers. Terrific, amazing. I must order some of these. Brilliant as usual. What colours do you use for your flesh. Thanks Steve. The flesh is Vallejo Gamecolour, “Tan” for the base coat, then “Dwarf Flesh”, followed by “Elf Flesh” as the highlight. I sometimes use a thin glaze of the lighter colours over the top if the contrast is too strong, which helps blend the colours. and give a smoother look.